Last week the mainstream media was whipped into a feeding frenzy over an article from media outlet BuzzFeed that claimed President Trump instructed his former attorney, Michael Cohen, to lie to Congress. 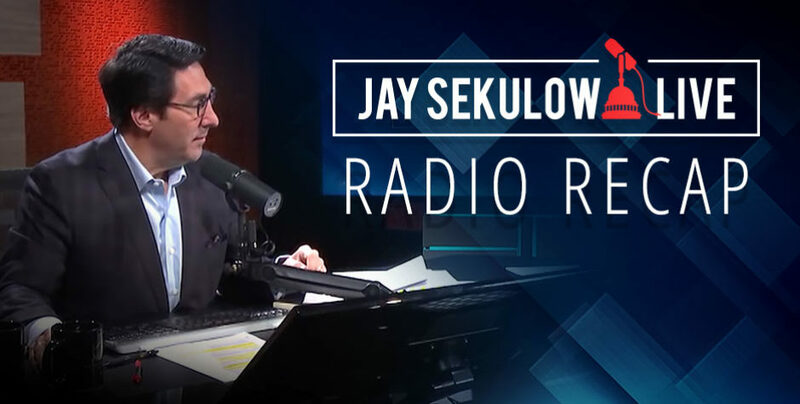 Today on the broadcast, we discussed the Special Counsel’s unprecedented move to publicly refute the story and the lack of media accountability. The Special Counsel just said it’s not true, and therefore any questions is supposedly raises shouldn’t be considered valid. But the facts don’t seem to give pause to those throwing around the word “impeachment” on the basis of this bogus report. That’s three critical areas that ARE NOT ACCURATE. The description of specific statements – the characterization of documents – and testimony obtained by the Special Counsel’s office – ARE NOT ACCURATE. That’s according to the Office of Special Counsel – the entity that actually heads up the investigation. We also recognized today as Martin Luther King Jr. Day, paying tribute to Dr. King’s work as a pioneer for civil rights, including his support for the State of Israel.